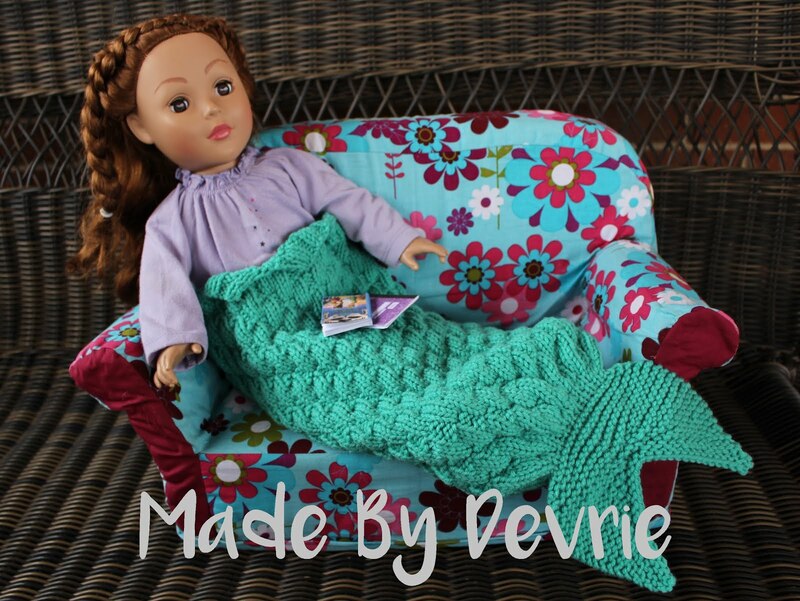 I have recently been adding a lot of doll patterns to my shops. That makes my daughter super happy because now has a lot of new doll things. The first 2 are these adorable winter sets. The 72 Horn Cable Winter Set, has some really cute details. 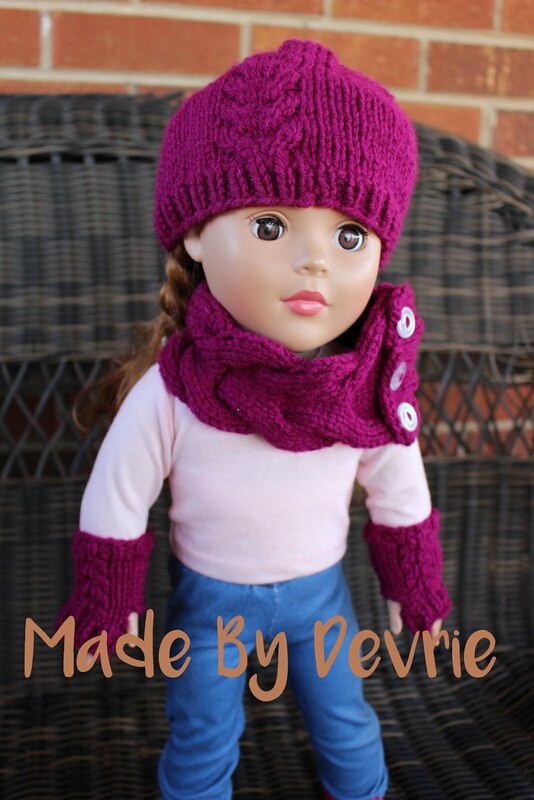 The cowl can be worn a couple of different ways and will be perfect for any 18 inch doll. 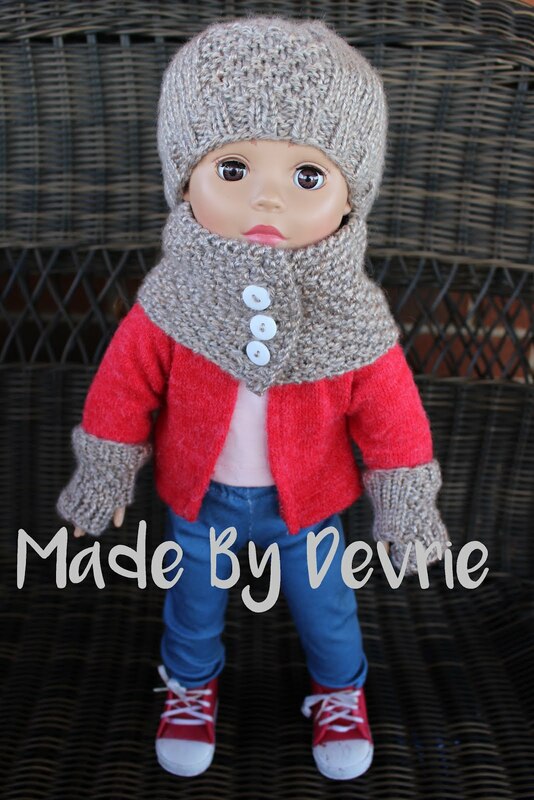 The 62 Winter Set is another great set to have for your doll. the design and details are simple but elegant. I want that cowl for myself. Look how cute these sets are. The next pattern is my daughters favorite. The Mermaid Tail Blanket if fun for both doll and child. It is made like a sleeping bag and is easily put on or removed. 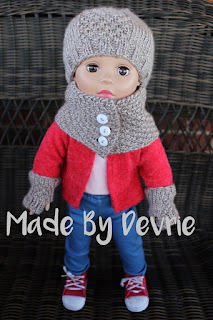 I have now been informed that I need to make one for my daughter, so stay tuned for that matching pattern. All these great patterns can be purchased from my Etsy or Craftsy shops. The links to those are at the top of the page. While you are there, check out all the other great patterns I have. Have a marvelous day and come back soon.